The Creative Writer brings together the fiction and poetry of talented and new writers. It features the fiction of Lynda Myles and the poetry of Elli Westmoreland. Also included are works by Susan Coppola, Jason Kaplan, Chris Medaglia, Matthew Ryan, Annelie Widholm, Sarah M. Clin... read full description below. The Creative Writer brings together the fiction and poetry of talented and new writers. 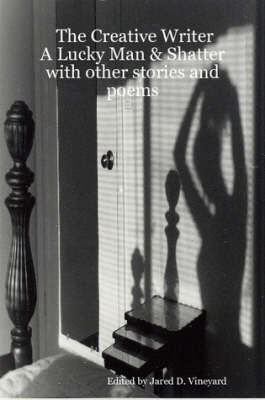 It features the fiction of Lynda Myles and the poetry of Elli Westmoreland. Also included are works by Susan Coppola, Jason Kaplan, Chris Medaglia, Matthew Ryan, Annelie Widholm, Sarah M. Clinton, Jessie May Murray, Lisa Roberson, and Jared D. Vineyard.